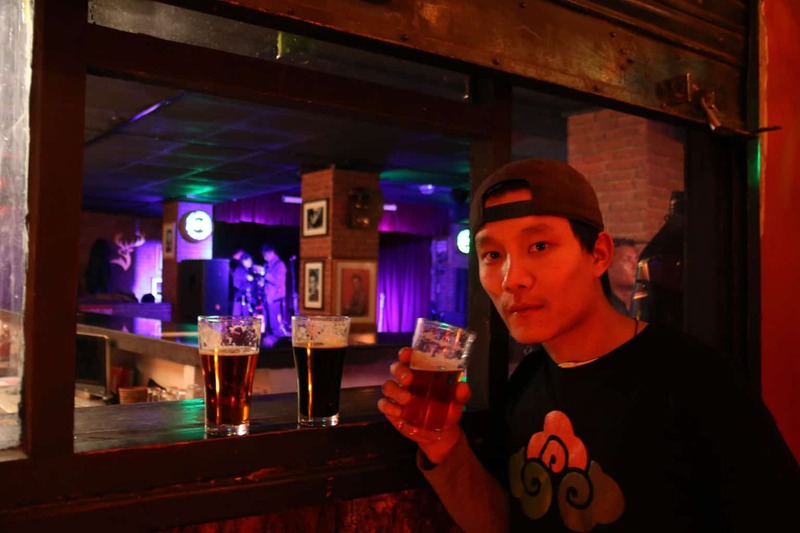 After a busy day of sightseeing in Thimphu, if you are interested in sampling a little nightlife in the capital, there’s always MojoPark – the place to be if you’re interested in checking out the budding live music scene and the place to try Bhutan Craft Beer. 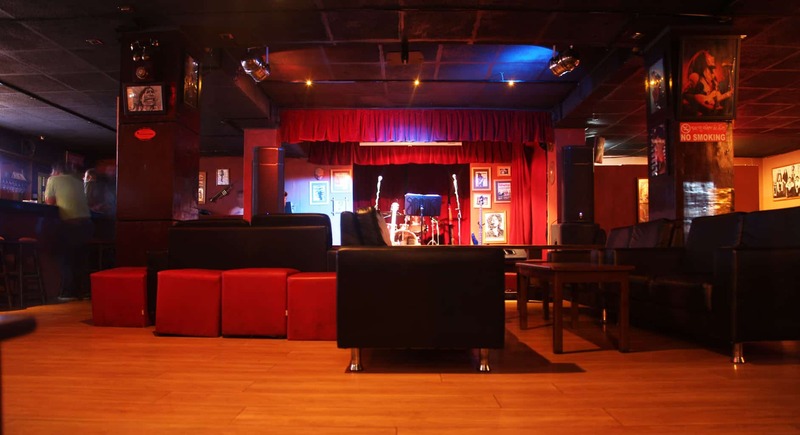 Besides the bands and the bar and the music, MojoPark is also a sought-after gathering place where locals meet up with locals to stay abreast of happenings and bring in their friends and visitors for a jolly good time. The bar at MojoPark is decked with all the major Bhutanese stars, and the usual international labels: K5 (whisky) and Special Courier (whisky) are two local favourites, along with all the high spirits brewed by the ubiquitous Army Welfare Project. The latest addition to the shelf at the MojoPark are the craft beers from Serbhum Brewery, located in Hongtsho (Thimphu) and the Namgay Artisanal Brewery in Paro; a welcome relief from mainstream beer manufacturers, both national and international. Serbhum Brewery is in the market with two craft beers – the Dragon Stout and the Bhutan Glory (Amber Ale). Amber Ale and the Dragon Stout from Serbhum Brewery. This is the flagship beer of Sherbhum brewery, named after a species of Butterfly found in Bhutan. With an alcohol context of 5%, this is a medium bodied beer which has a biscuity, malty, and caramel aroma and flavour that is driven from the Munich and Victory malts used. It also has a liberal amount of Crystal malt in it to give it a deep rich amber colour. The story of Bhutan begins with a dragon, with thunder in its voice and fire in its heart. It’s the perfect symbol for our Dragon Stout. Liberal amounts of chocolate malt and roasted barley are added to this beer to give it a deep, dark, black colour as well as lots of coffee and chocolate aromas. The roasted malts will give a slight astringency to the beer, which will be balanced by a slight sweetness added by the Crystal malt. The Namgay Artisanal Brewery came in with the Bhutan Dark Ale and the Bhutan Red Rice Lager. 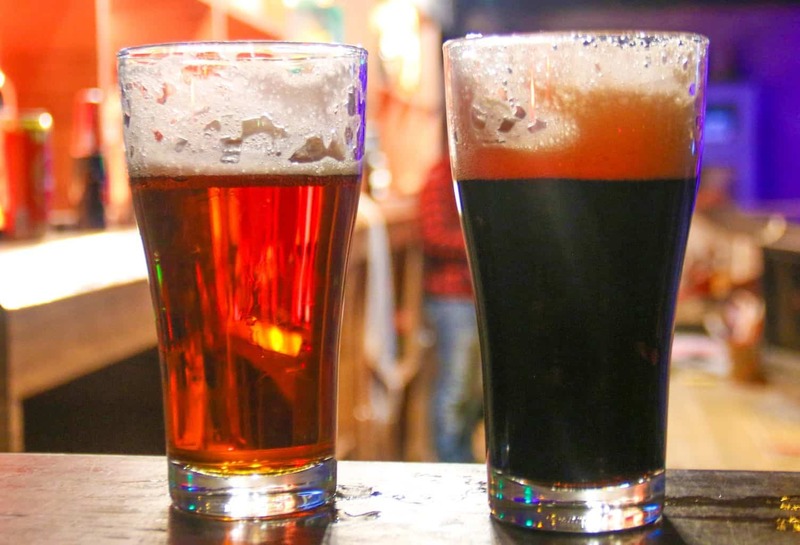 The Bhutanese tongue, long used to drinking only mainstream beers, is now blessed with the option to acquire the taste for quality beers from the two micro-brewers. All four beers now have their own fan followings. 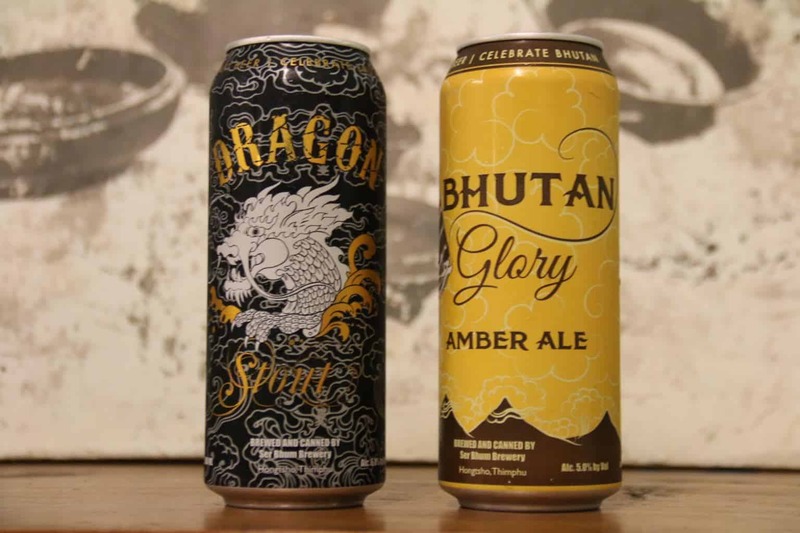 Although the Dragon Stout and Bhutan Glory are available in cans, these craft beers are served from the tap at the MojoPark – fresh out of the barrel. Namgay Artisanal Brewery will soon be bottling their beers, and soon will they also realise Bhutan´s first cider. Feedbacks vary. To somebody drinking the dark coloured Stout for the first time, the flavour is reminiscent of coffee, and for those with an affinity, the stout beer is reminiscent of European brews. Though not as thick or creamy as its European forebears. 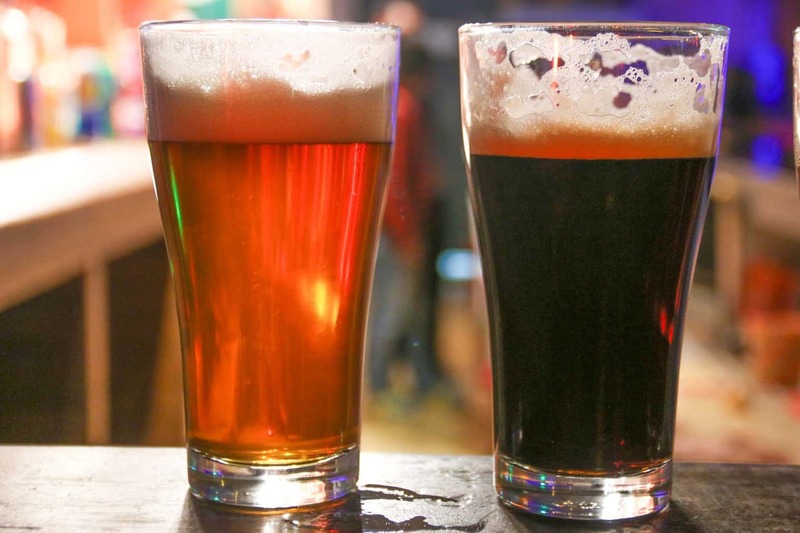 For now, locals seem to find the Amber Ale more familiar to the palate than the Stout. Like the name suggests, the Red Rice Lager is brewed from red rice, gathered from the rich pastoral fields of Paro. The blond coloured Red Rice Lager is less bitter and, sweeter than the Amber Ale, and for the time being, my favourite. The Dark Ale from Paro looks like a Stout but it’s a little lighter compared to the Dragon Stout. Traditionally, farmers in Bhutan burn the barley to thrash the husk from the grain. In the process, some of the grains get burnt and these burnt grains, otherwise wasted, are properly roasted to make the Dark Ale. 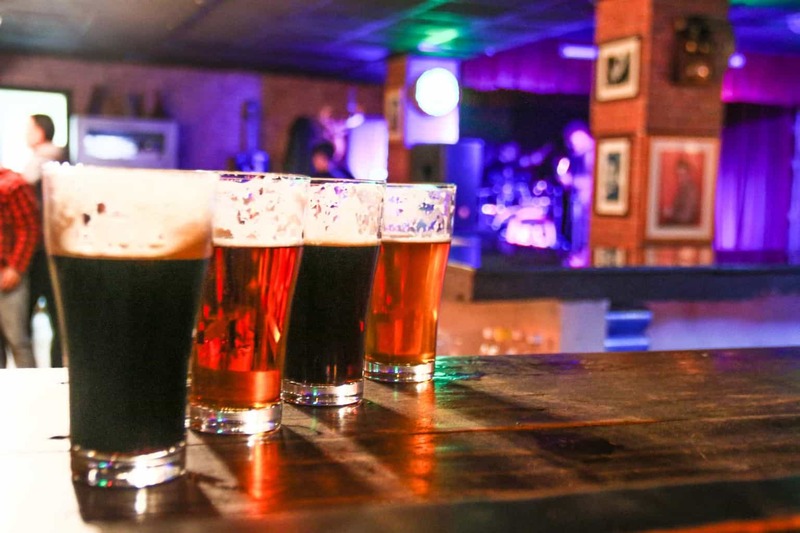 If your travels have somehow brought you to the quaint little rich capital of Thimphu in Bhutan, do drop in at the MojoPark for some craft beer. In the winter months, a makeshift fireplace at the bar’s outdoor porch, with its nice wooden tables and benches, makes for a warm entry into what is becoming one of Thimphu’s main attractions. And waiting inside, the legendary stubborn hospitality of the Bhutanese, Bands, and Conversations, Bar, Stout, Ale and all. The stage and the cosy sitting at Mojo Park. You can also get Ser Bhum Amber Ale and Stout at the nearby Zone bar and Zone 2 further up the hill near the YDF complex. The brewery itself at Hontcho is also occasionally open but you generally have to make arrangements prior to your visit.